What I did was I gathered ribbons from white, baby pink to hot pink around the house and cut them into small strips (~3 inch long). Then I stacked the folded ribbon strips into the white thread using a needle. After all of the strips got into the thread, I tied a really tight knot. The ribbons need to be adjusted a little bit into this puffy shape. Last step was to attach the alligator clip to the puffy bow using hot glue. 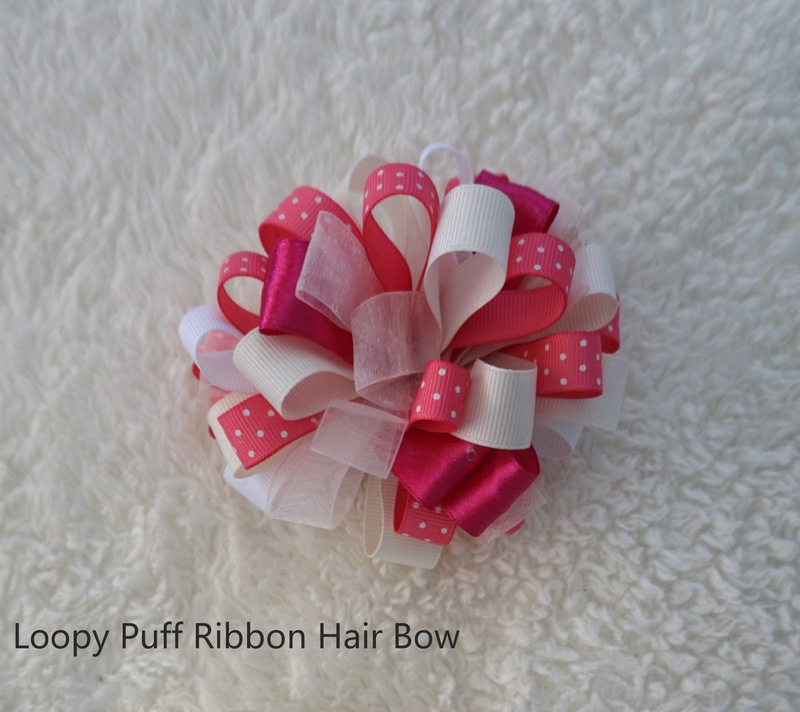 I made two of these Loopy Puff Ribbon Hair Bows, the hair clip for my elder daughter and the headband for my little one who was born in August. I was hoping that I could take a picture of my two princesses together with the matching hair bows. In my imagination, it would be so cute. However, the toddler considers this hair bow a toy rather than a hair accessory and the headband is way too big for the baby. My bad. I probably have to wait a few more months before getting the photo I want. I will be posting the hair clip I made for the month of September tomorrow. Stay tuned.